Cactus Country was established over 25 years ago, and through the years has matured into one of the most requested bands for weddings, conventions, corporate events, rodeos, & festivals. Performing country hits, classic country, Texas Country & Variety music from classic rock to oldies to cumbias, they can satisfy a wide range of audiences. During their career they have performed for over 1000 weddings, and have performed for hundreds of convention and corporate clients. Featured in Cactus Country is one of the finest female vocalists around, Brenda Dlugosh and versatile male vocalist, Jim Patterson who performed on cruise ships for 5 years and toured the USA with a tribute band! Great time. Lots of compliments! Thanks Beca, we had a great time. Super crowd, and food was very good! Cactus Country is a full service 5 piece professional band with highly experienced musicians. We provide all our own sound and lighting. We can provide a variety of music styles, and will be happy to work with you to customize our playlist for your event. For weddings, we offer to plays CDs an hour prior to start time so you have music during your dinner, at no extra charge. For all events, we play music during breaks so you have continuous music. Most times we play popular dance hits that keeps the dancefloor hopping during our breaks. For any event I'm happy to also MC the evening and make announcements as you would wish. We have a wireless mic that you can use at any time for anyone in your group that may need to talk. For convention and corporate groups, many like to get their guests to participate, and Brenda can teach several line dances to get the guests out on the dancefloor. We also work with independent line dancers, it's a great way to have a memorable evening. We perform over 110 events a year, and most are on a referral basis which lets you know how well our clients enjoy our performance. 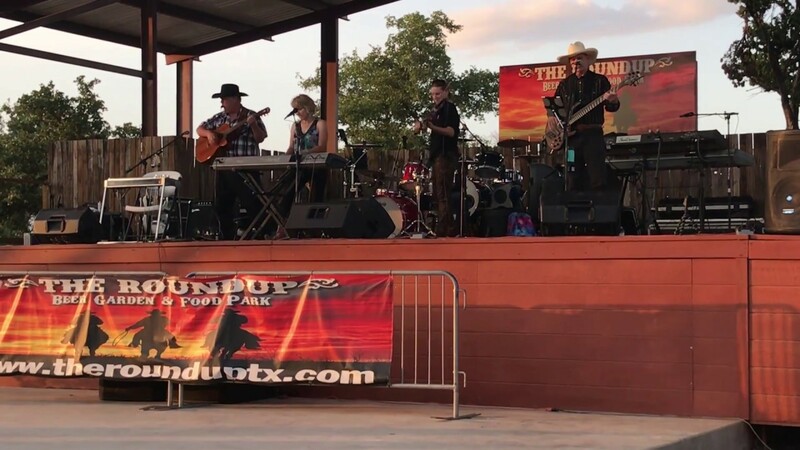 Cactus Country was established over 25 years ago, and through the years has ma-tured into one of the most requested bands for weddings, conventions, corporate events, rodeos, trailrides & festivals. 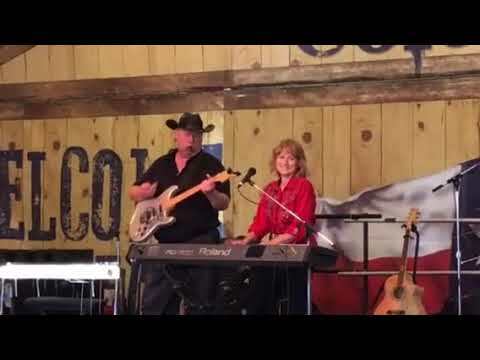 Performing country hits, classic country, Texas Country & variety music from classic rock to oldies, they can satisfy a wide range of audiences. Over the years Cactus Country has been featured with many Nashville stars, including Midland, John Conlee, Steve Wariner, Restless Heart, Clint Black, Gary Allan, Jana Kramer, Wade Bowan, Tracy Byrd, Johnny Lee, Rex Allen Jr., Tracy Lawrence, Rick Trevino, Aaron Tippin, Doug Supernaw, Perfect Stranger, Paulette Carlson, Sylvia, Moe Bandy, Chris LeDoux, LeeRoy Parnell & even the Dixie Chicks (before they were famous!). 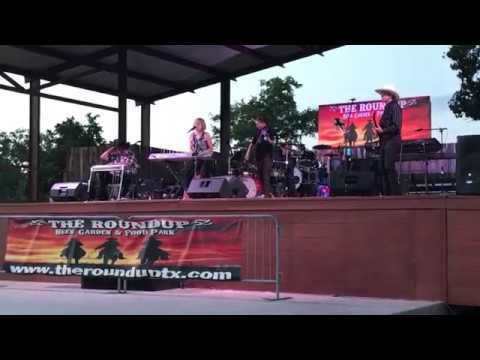 They opened for Charlie Daniels Band at the Go Rodeo Gala, & RESTLESS HEART at Oyster Bake. They have backed Western Artist Rex Allen Jr. on several occasions, including 2 shows in Waco a few years ago. They are so versatile that they have also opened for a number of Tejano Stars including David Lee Garza, Ram Herrera several times, Jay Perez, Ruben Ramos, Roberto Pulido, and Raulito Navaira. Over their career they have been finalists in the Marlboro Country Music Talent Roundup and the Miller Battle of the Bands. In 2000, they won the local stage of the Colgate Country Music Showdown & later placed 2nd in the State. 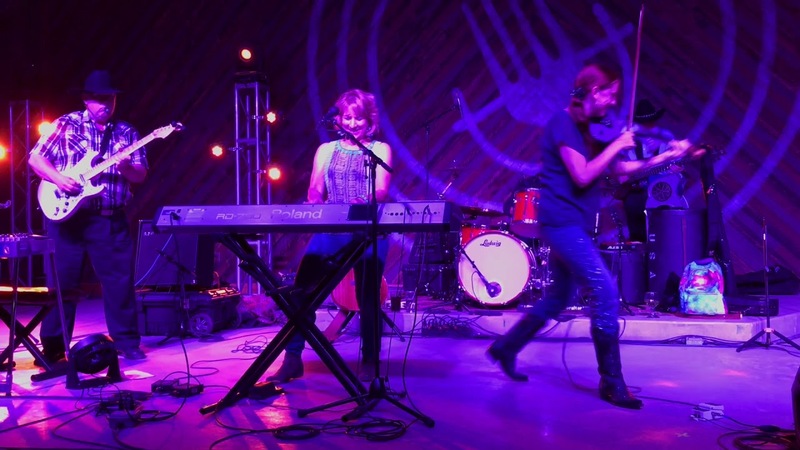 Since that contest, the Nashville office of the Showdown for 15 years regularly books the group to be the back-up band for state finalist contests throughout Texas. They also played an international booking, performing at the grand opening of a new restaurant in Costa Rica, Central America. The newest member to the group is quite a fiddling sensation. Regina is always a favorite at the many different types of venues and diverse audiences Cactus Country plays performs for. Her showmanship and great stage presence complements her great fiddle talents. She routinely gets special ovations when she showcases her favorite Charley Daniels hits , the fiddle classic Orange Blossom Special, and the Alabama hit If You’re Gonna Play in Texas……(you’ve gotta have a fiddle in the band! Regina started taking fiddle lessons when she was 5 years old, and for 5 years she trained with Texas State, National and World Fiddle champion Jimmie Don Bates. At age 8, she played on stage at the famed Floore’s Country Store with Fiddle Legend Johnny Gimble. At ages 10 to 15 she won 4 Texas Old Time Fiddlers Junior Championships, 5 times winner of the Crockett Junior World Championship, and she competed at the Grand Nationals Fiddle Contest at the Ryman Auditorium in Nashville. She recorded her first “Fiddlin Frenzy” CD at age 12. In 1997 she appeared on the nationally televised Crook and Chase show, and in 1998 she appeared in the movie The Newton Boys as an orphan fiddler. The movie starred Matthew McConaughey and Dwight Yoakum. 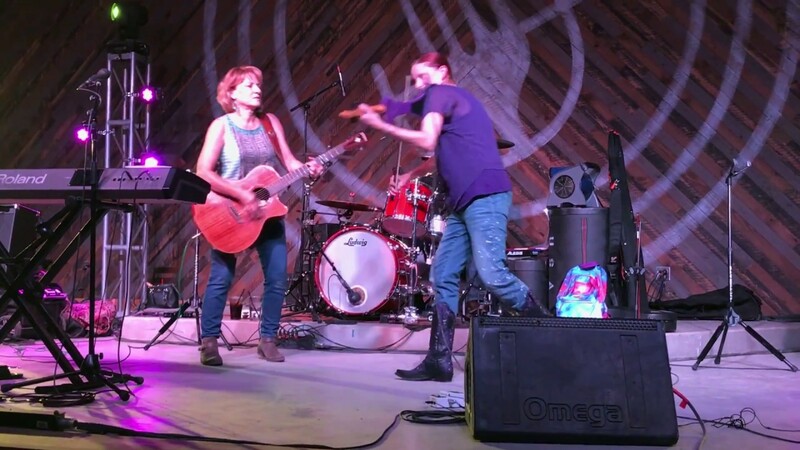 She won the Texas State Contest of the Colgate Country Showdown in 2002, She then spent 11 years with the outstanding house band for the huge Cowboy’s Dancehall, where she opened for countess Nashville and Texas Country Artists. Some of her favorite artists she opened for including Moe Bandy, John Conlee, Mark O'Connor, Branson star fiddler Shoji Tabuchi, Johnny Lee, Frenchie Burke, Johnny Duncan, Sonny Throckmorton, Rock Killough, Craig Dillingham, Vassar Clements, Texas Shorty, Johnny Gimble, Doc Watson, & Tony Douglas. Cactus Country released their first album, "By Request" in 1990, their first CD in 1996, and “Jukebox” in 2003. Due to the band’s extensive experience & popularity, they work with local radio station Y-100 FM to do promotional events. The band is also sponsored by SAM ASH music. In order to satisfy the widely different age groups and likes of audiences typical of convention events & private parties, Cactus Country plays a variety of the latest in country music, Texas Music, country "classics", vintage rock n' roll, dance music, & even some Latin hits. They are one of the few bands who truly remains up-to-date with current music such as George Strait, Lady Antebellum, Alan Jackson, Miranda Lambert, Blake Shelton, Billy Currington, Kacey Musgraves, Gary Allan, Brooks & Dunn, Taylor Swift, and popular Texas Artists like Randy Rogers, Cody Johnson, Pat Green, Josh Abbott, Stoney Larue, Wade Bowen & Ely Young. Their music also includes country standards & variety (such as the Eagles), 50's and 60's (such as Elvis, Righteous Bros, Bill Haley, Drifters), and rock-'n roll favorites (like YMCA, Shout, Funky Music) by various groups (ZZ Top, Joan Jett, Rolling Stones). & even Selena’s cumbia hits. This diversity surprises many and allows them to please a wide range of audiences. Listen to the Sound bytes on the website, and we’re sure you’ll agree. We provide our own sound and lighting. For most events, 2 standard 20 amp 120volt circuits are fine. If it happens to be a large outdoor event, we will set up extra sound and then 3 - 20 amp 120 volt circuits are best. If sound is provided by the venue, we can provide a stage plot to the production company so they can prepare in advance. We have worked with most of the major sound companies in the region, and are happy to fit into whatever works best for your event. We provide all our own equipment. If you want to provide a stage, a 20'x12' or 24'x12' works best. We can set up in smaller spaces, but that's just a normal stage that size that works well.